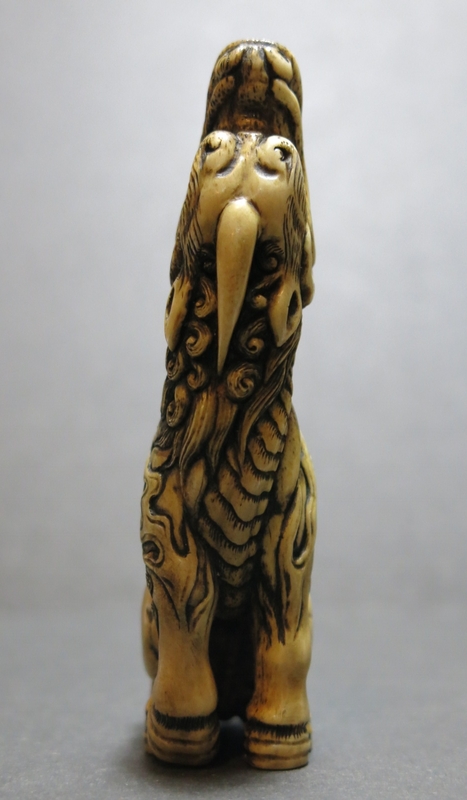 These pieces are all carved by Fumio. *Playful mouse and rabbit in round form. 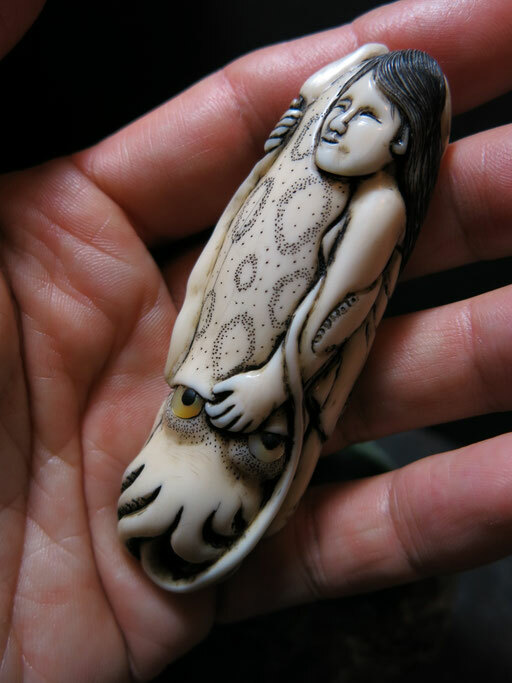 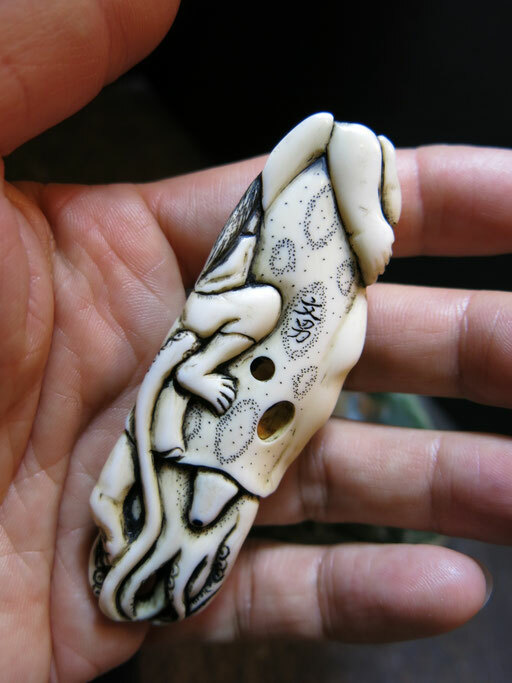 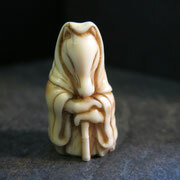 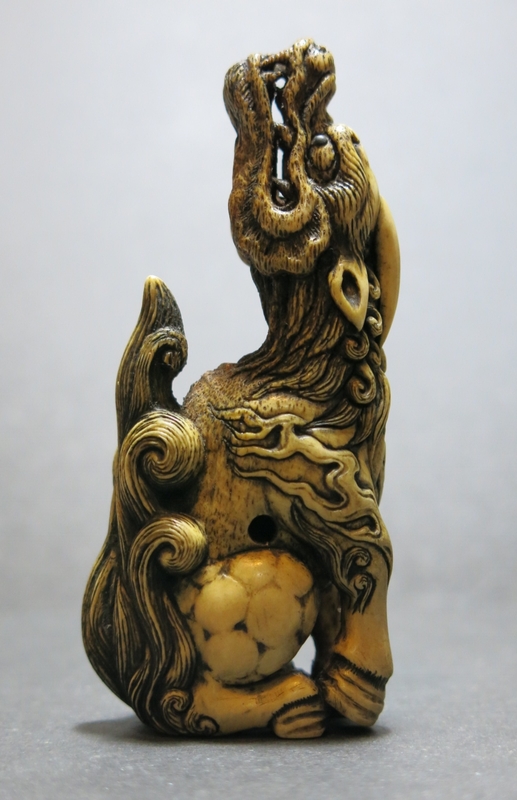 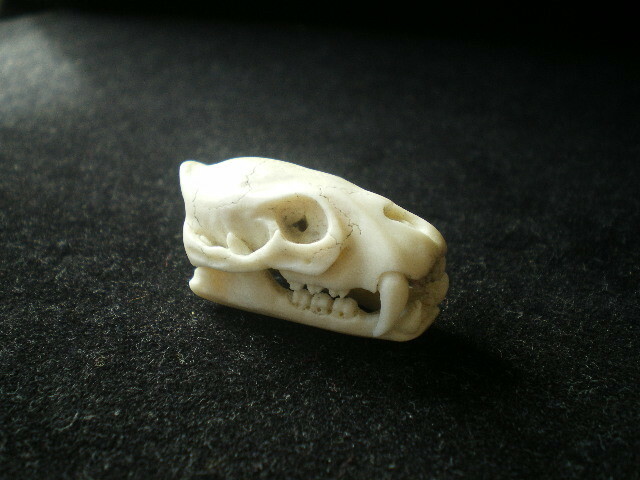 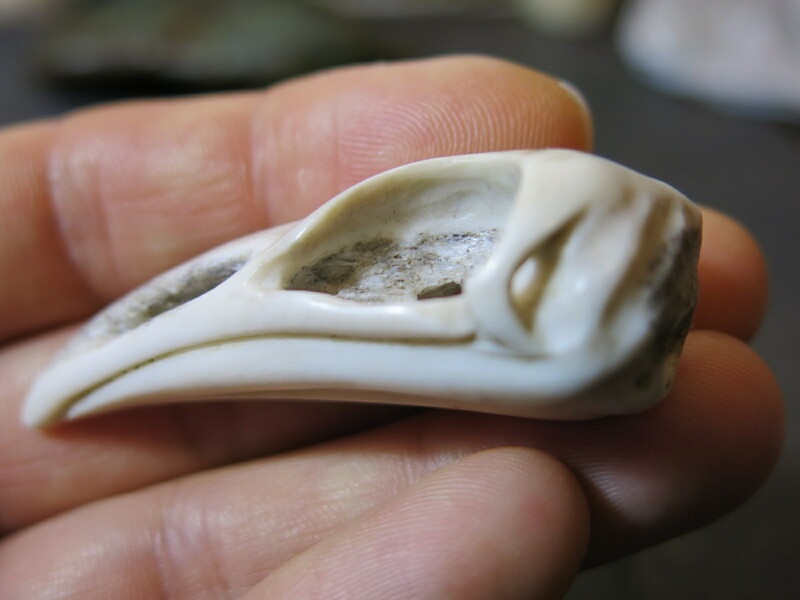 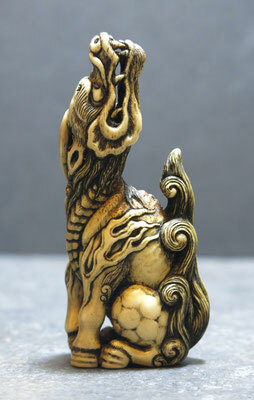 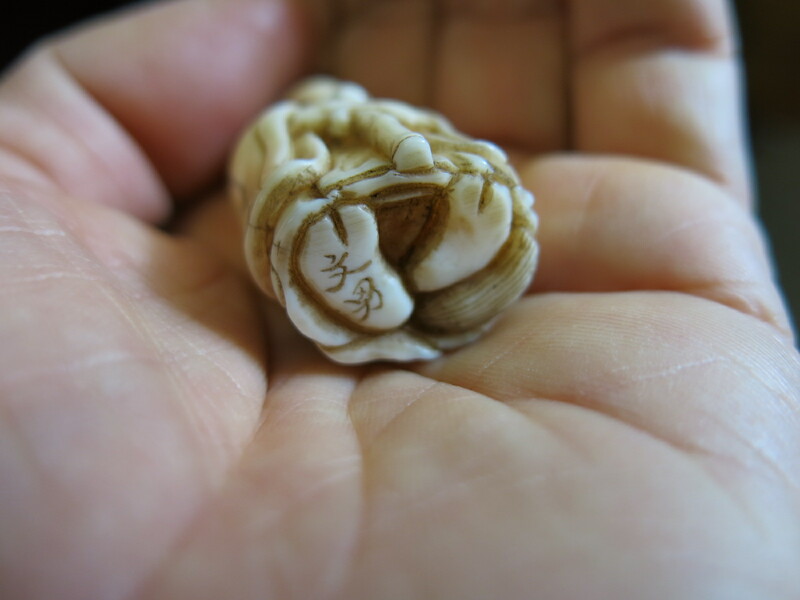 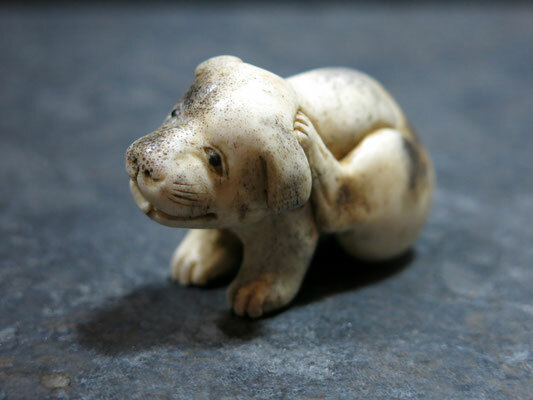 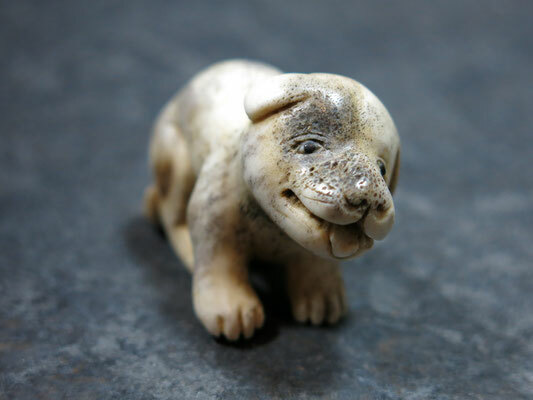 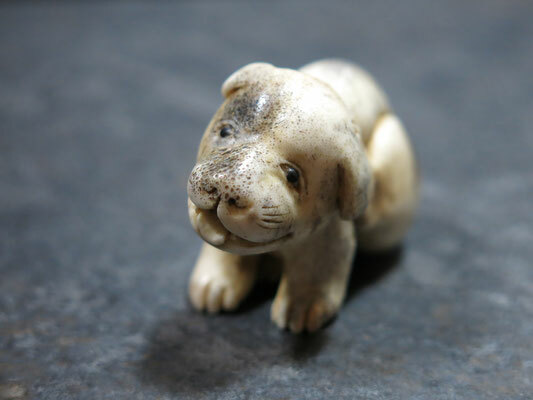 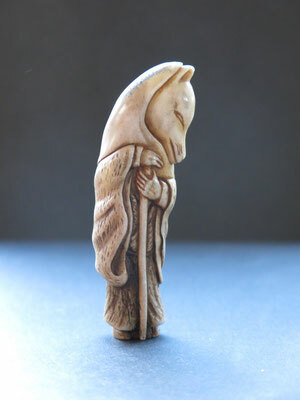 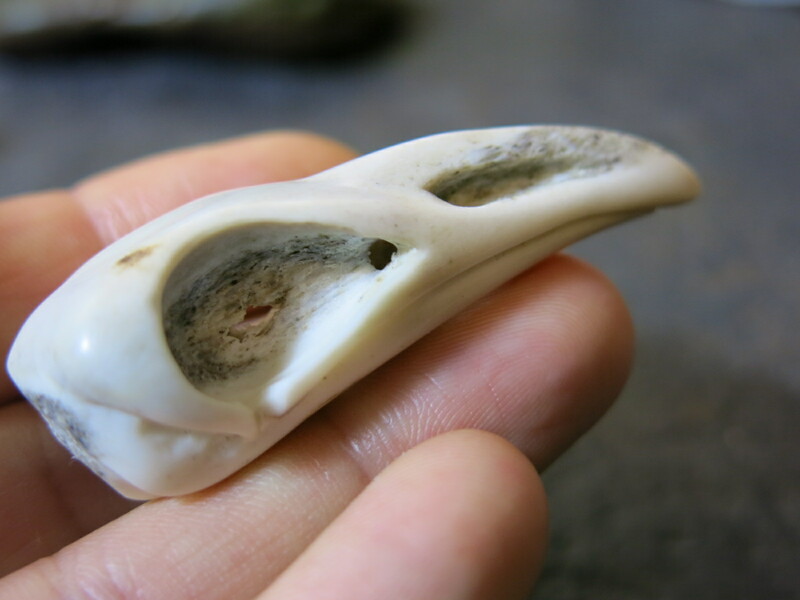 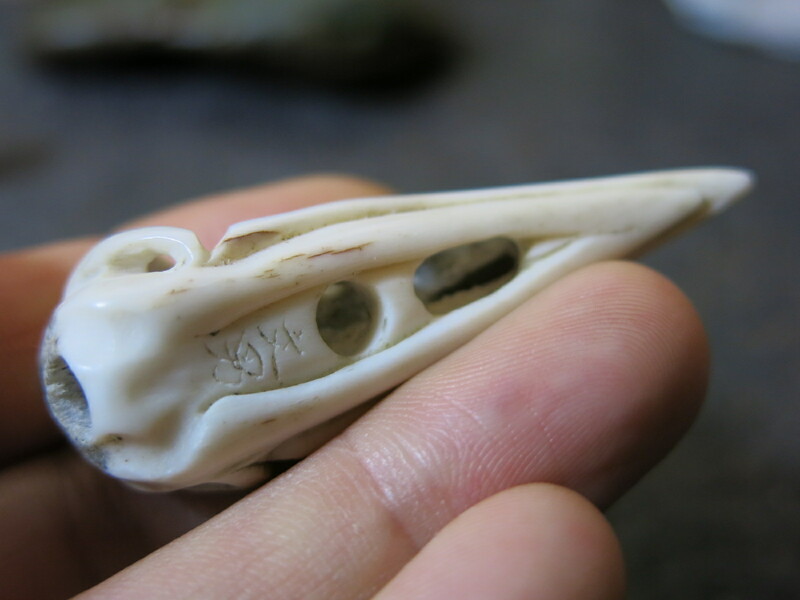 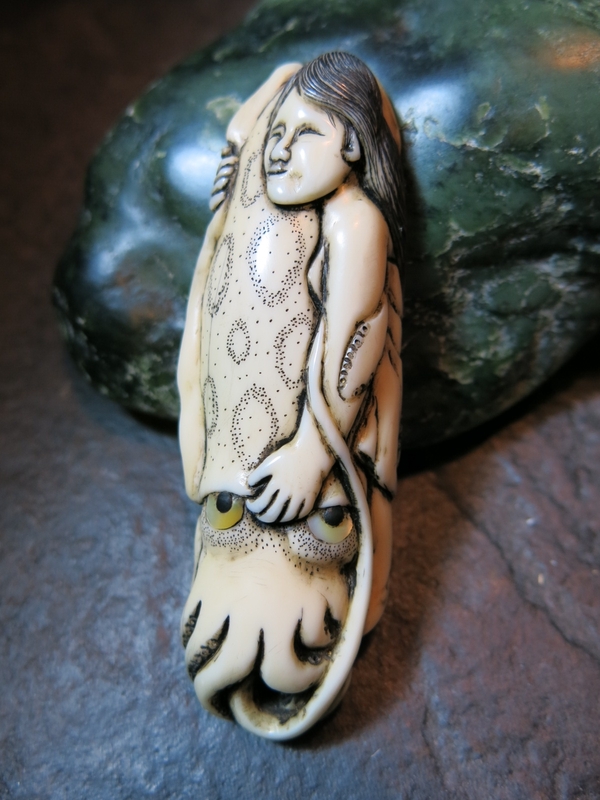 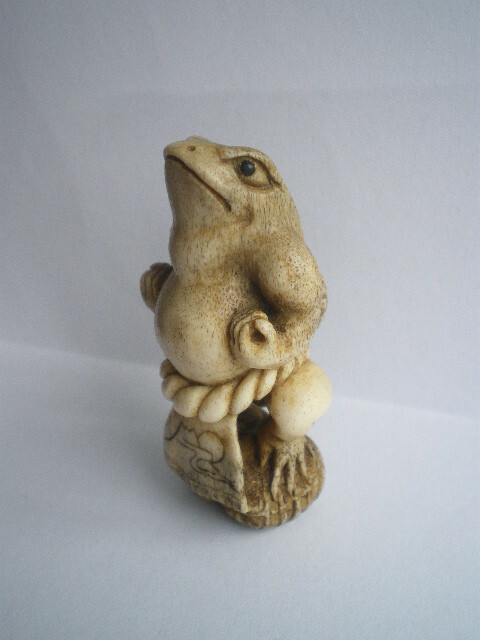 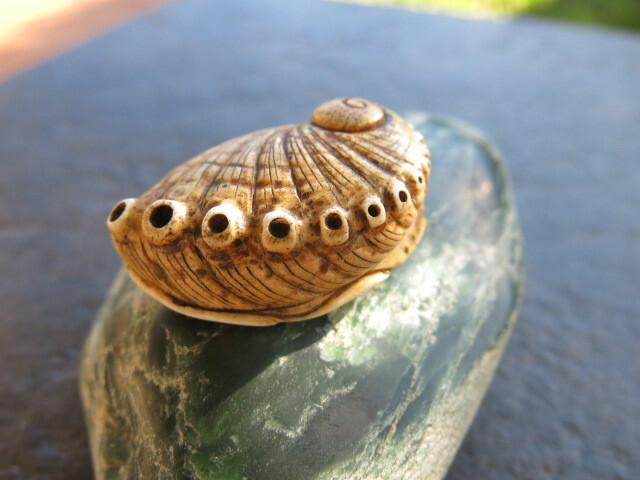 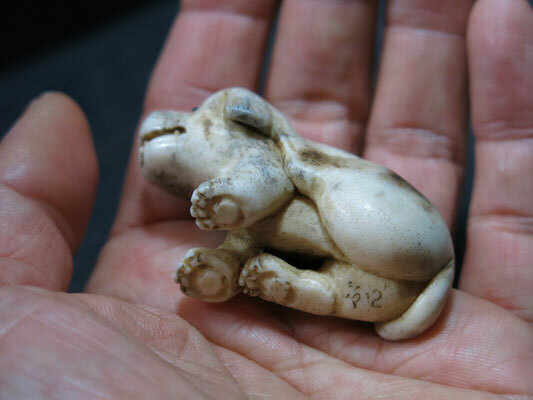 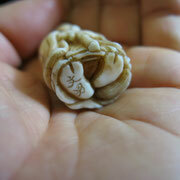 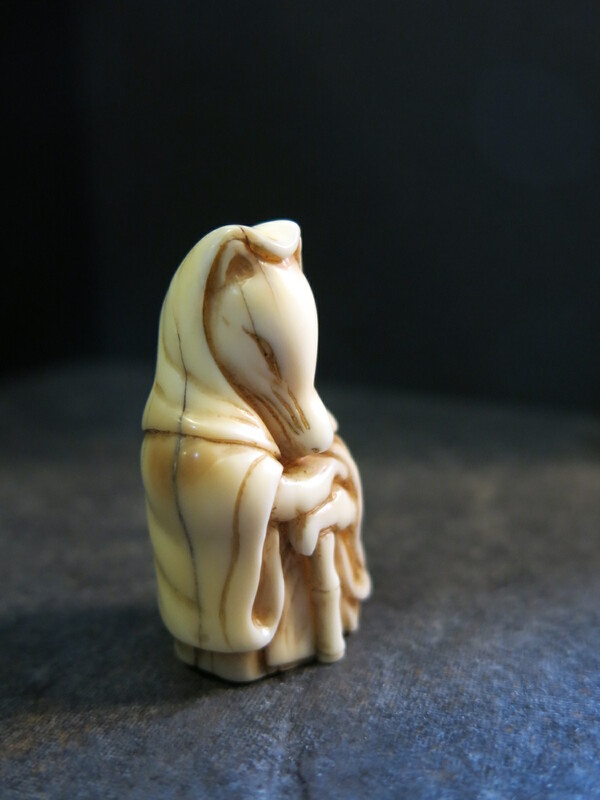 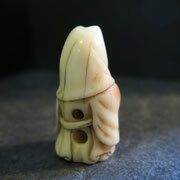 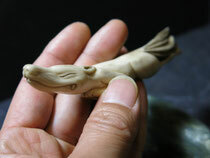 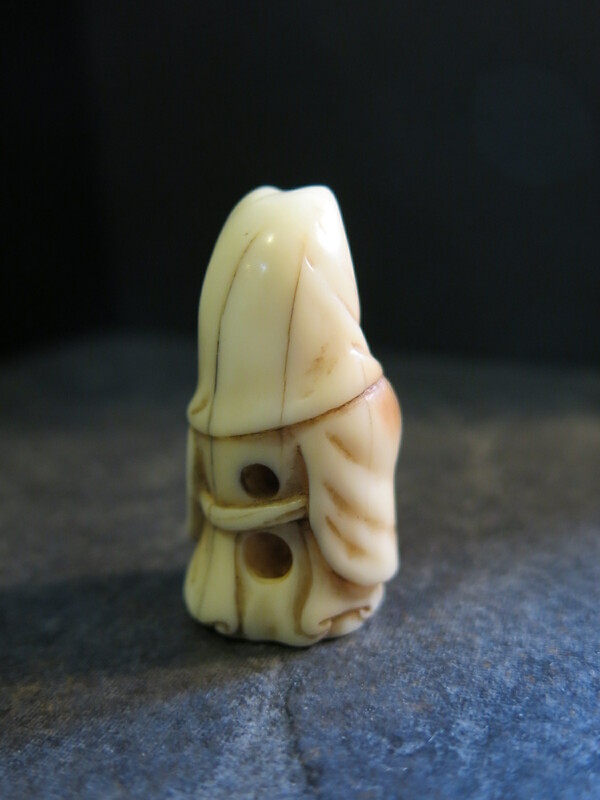 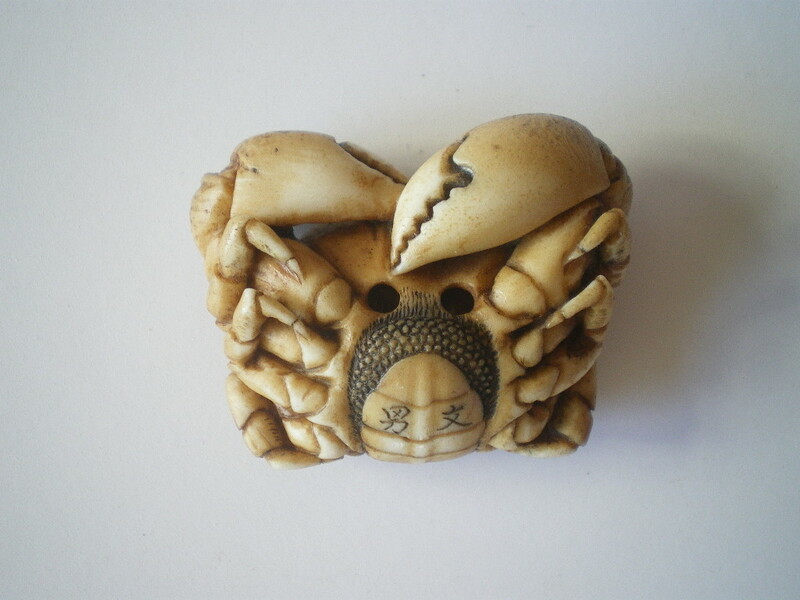 This is my first piece of "Syun-Ga" Netsuke. 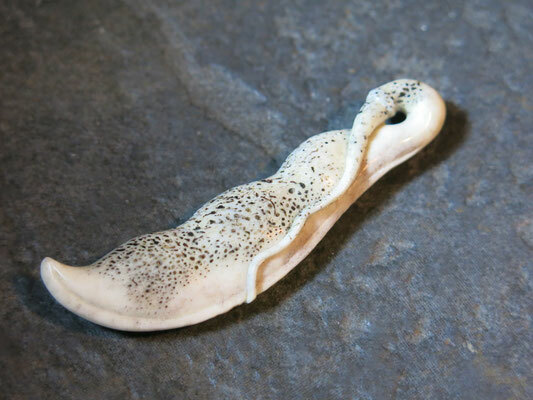 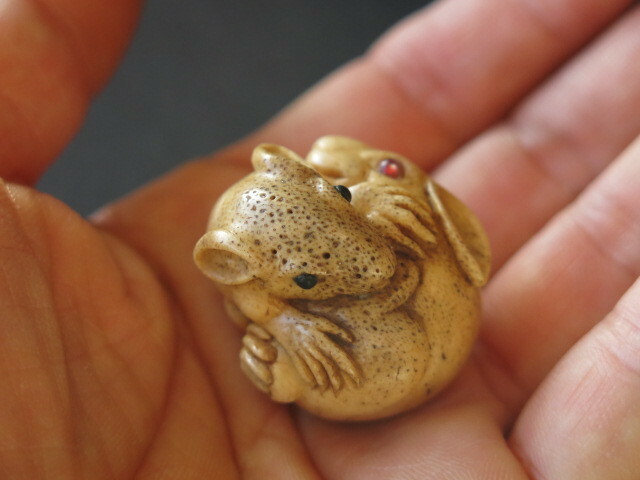 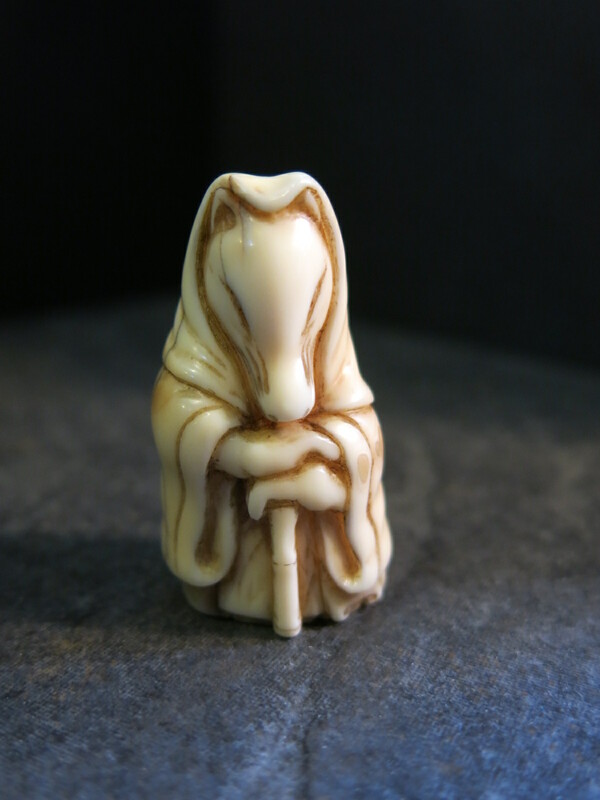 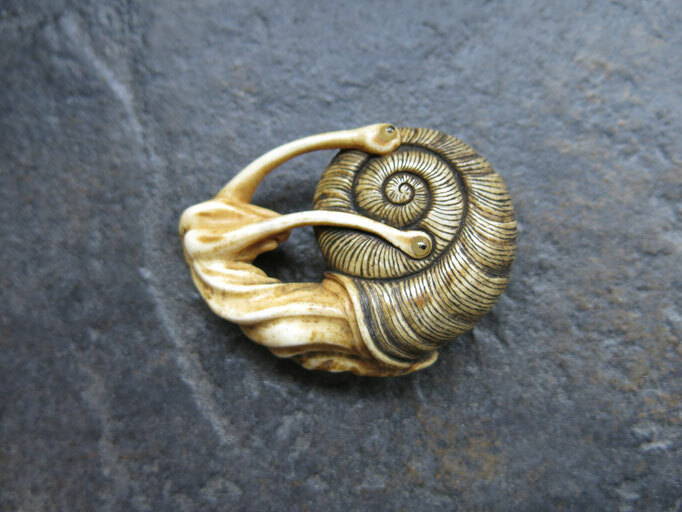 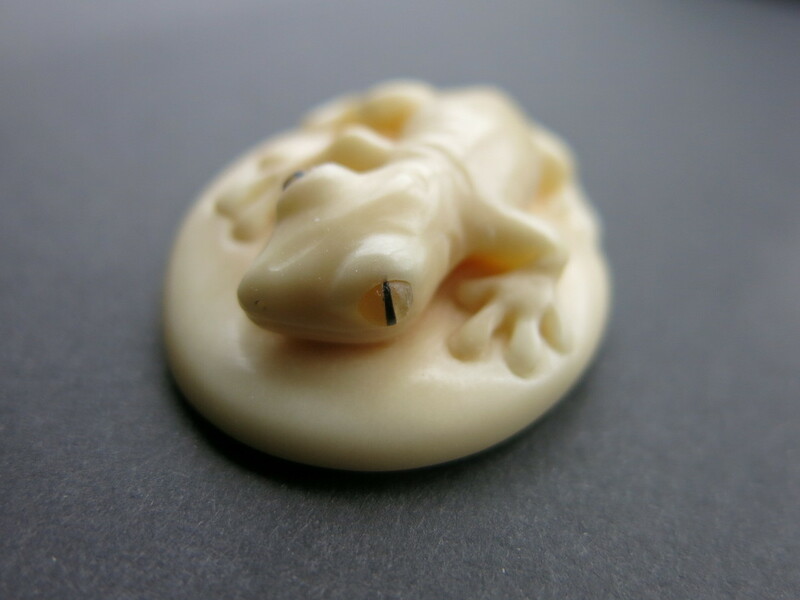 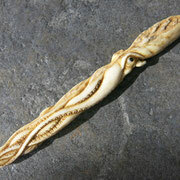 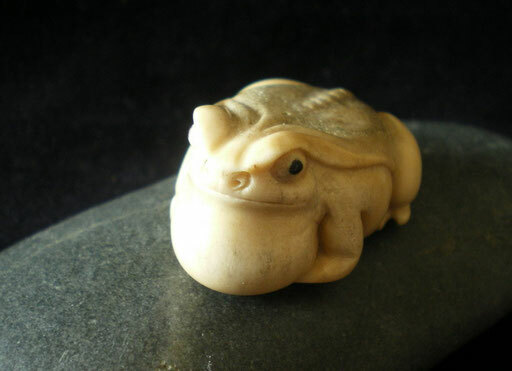 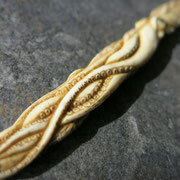 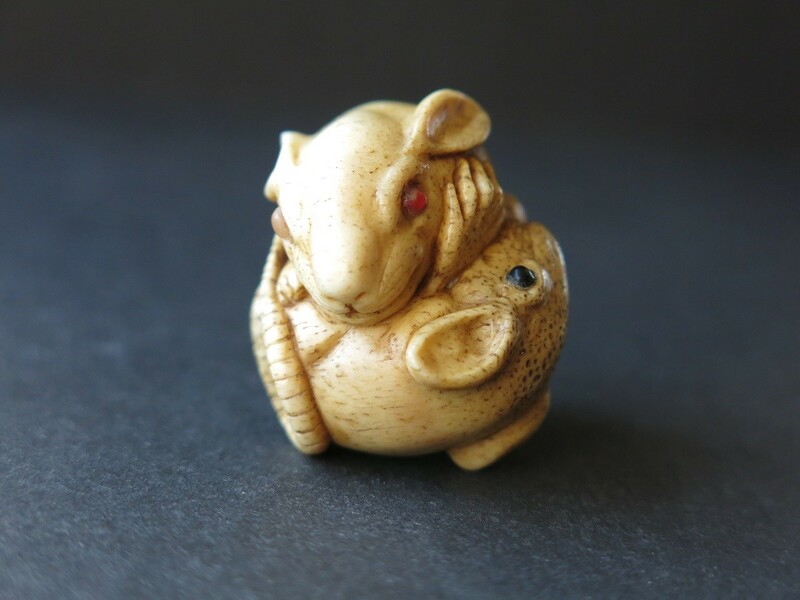 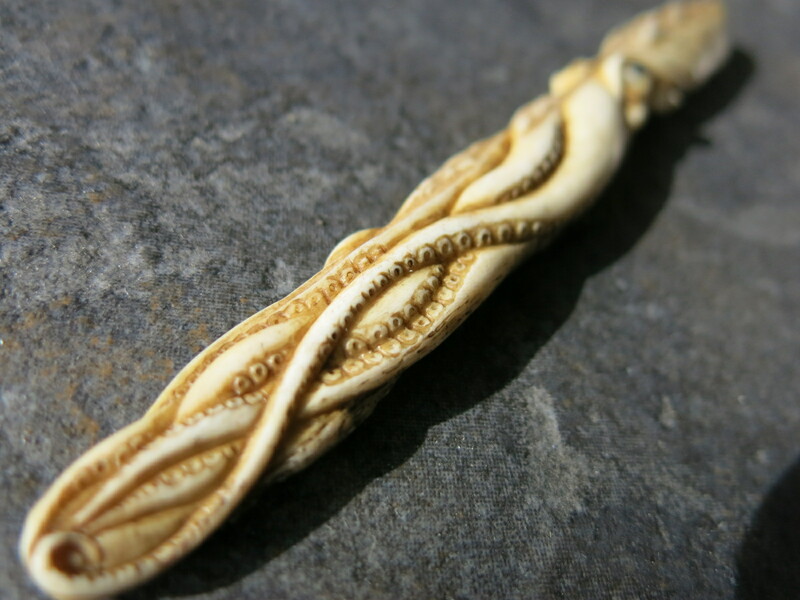 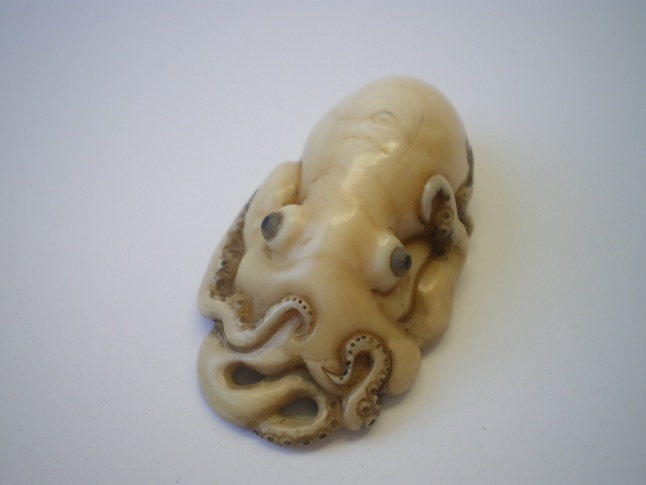 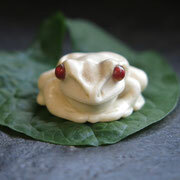 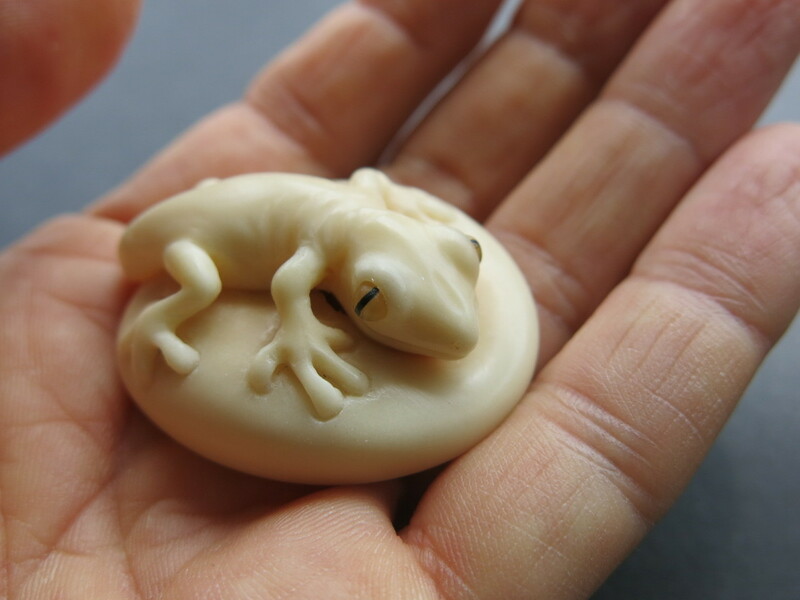 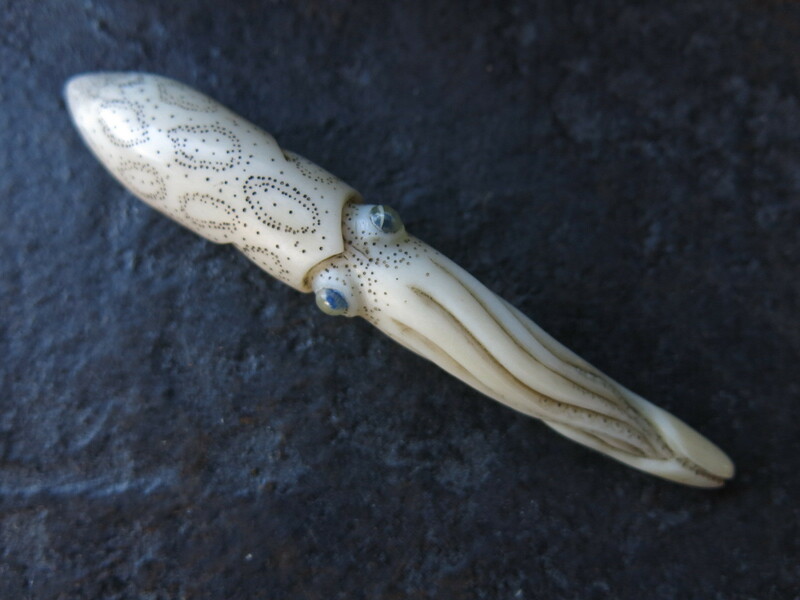 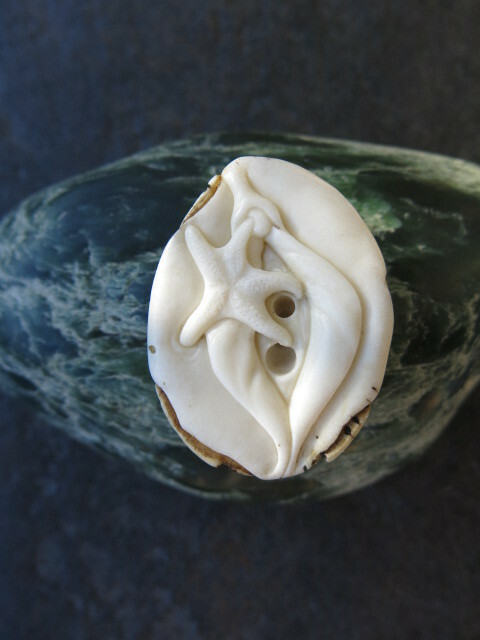 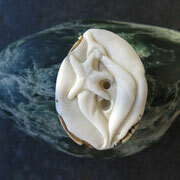 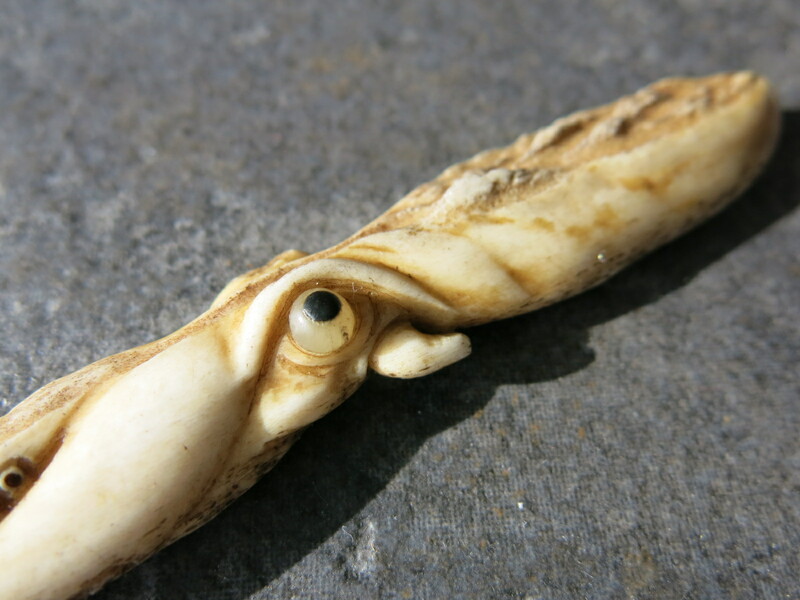 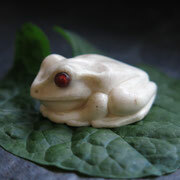 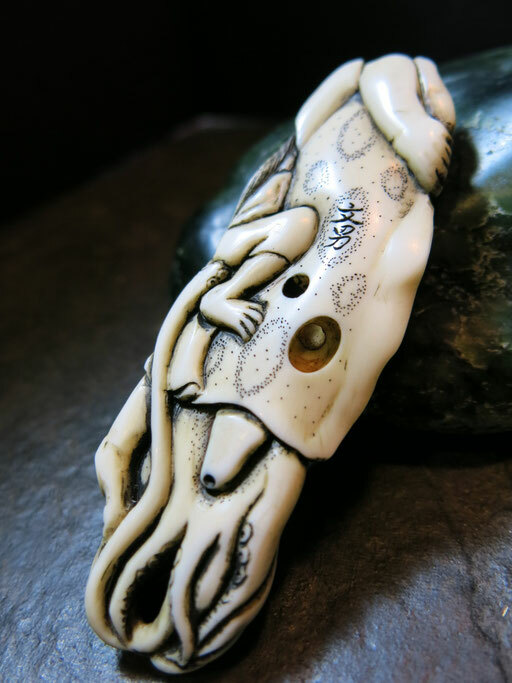 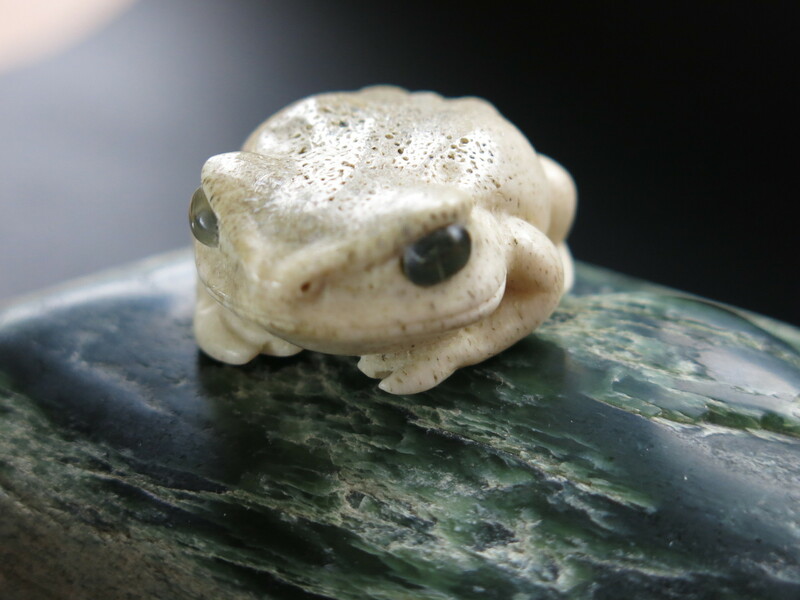 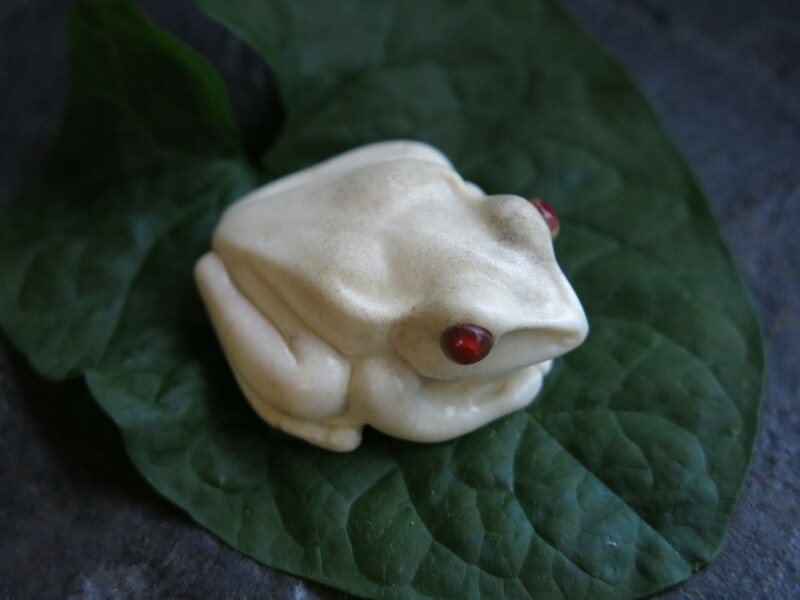 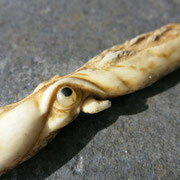 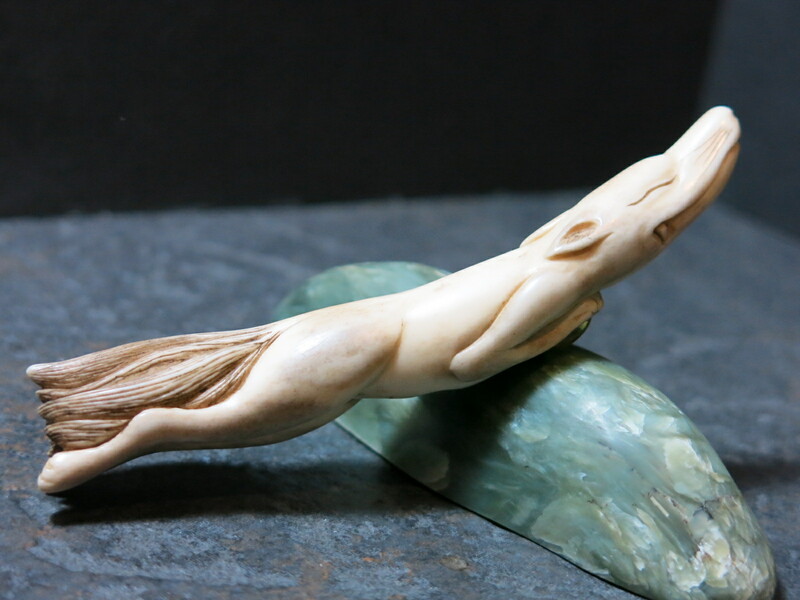 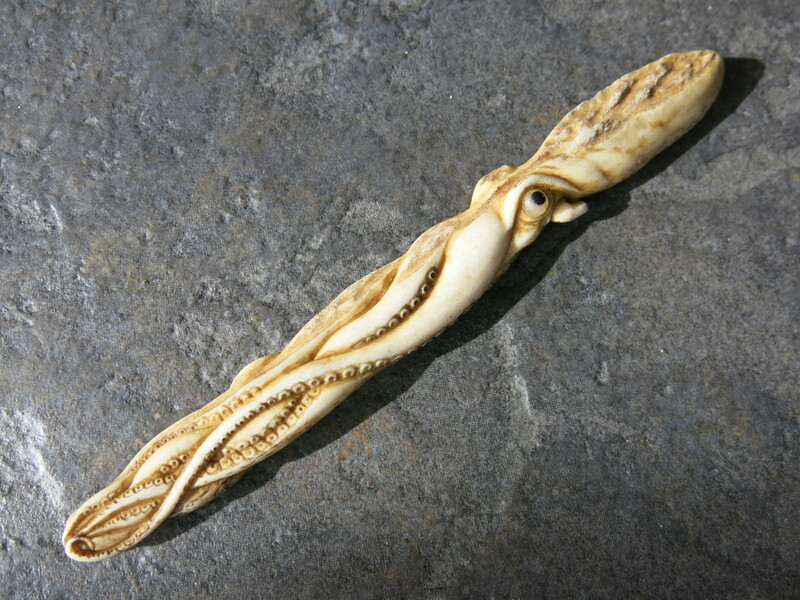 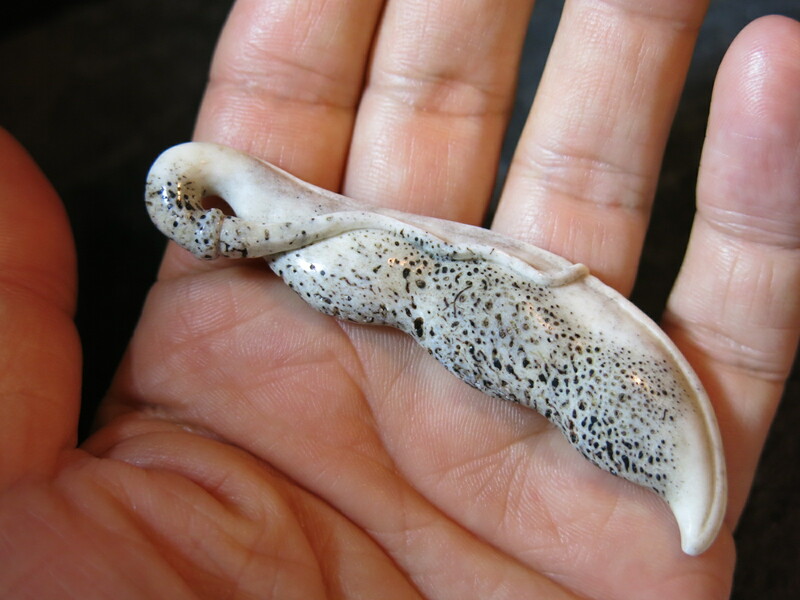 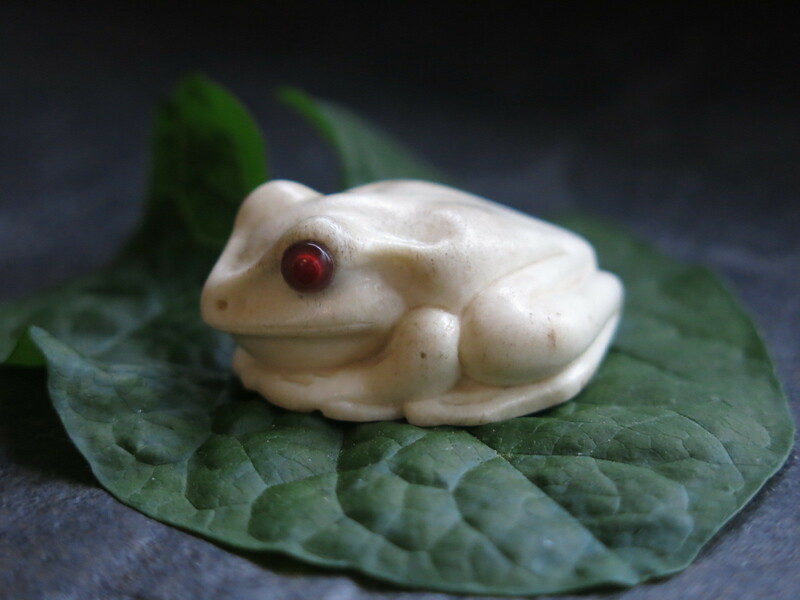 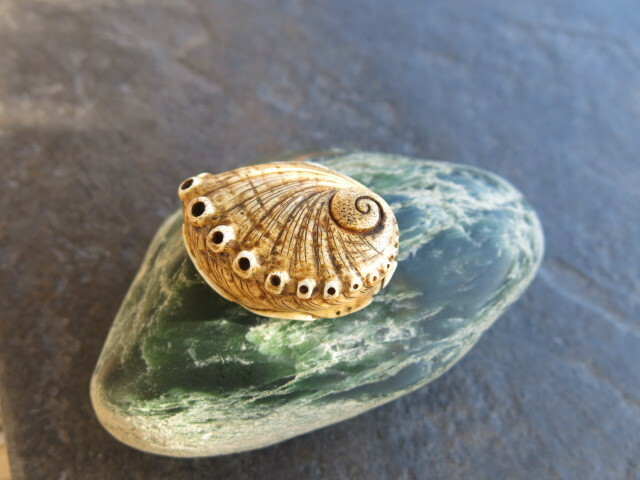 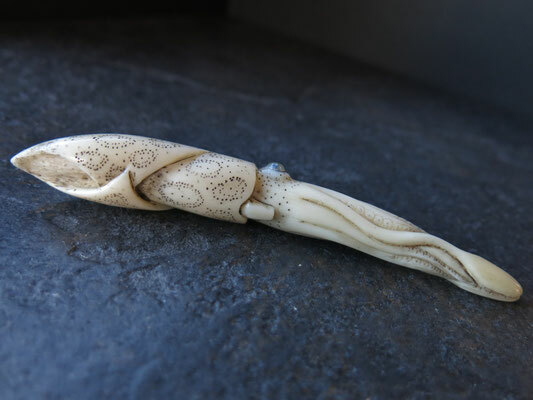 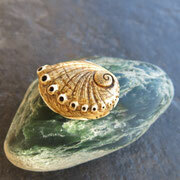 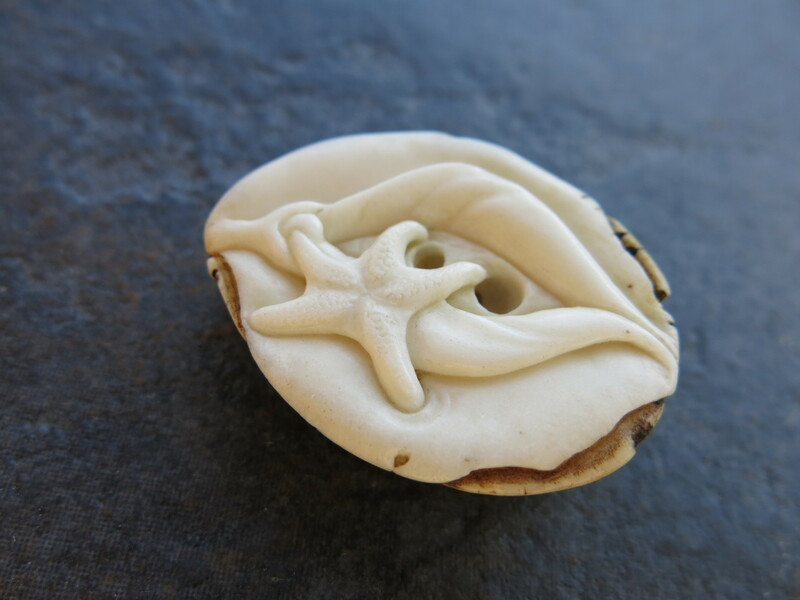 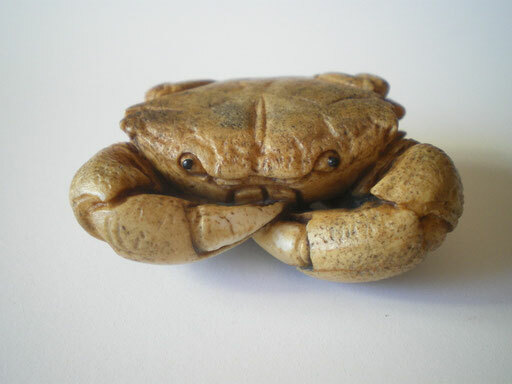 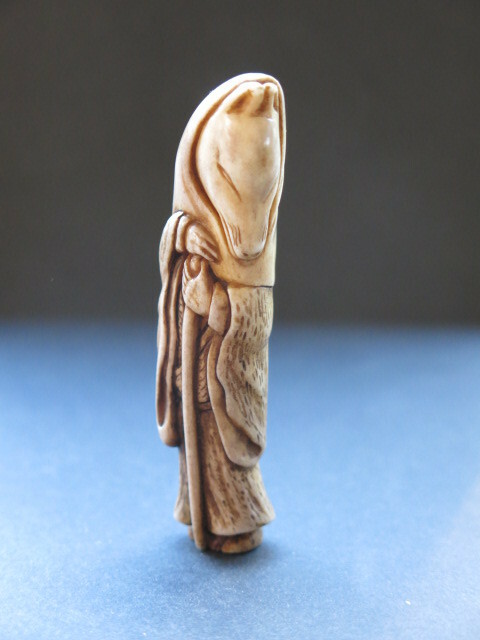 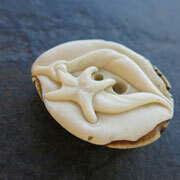 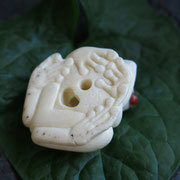 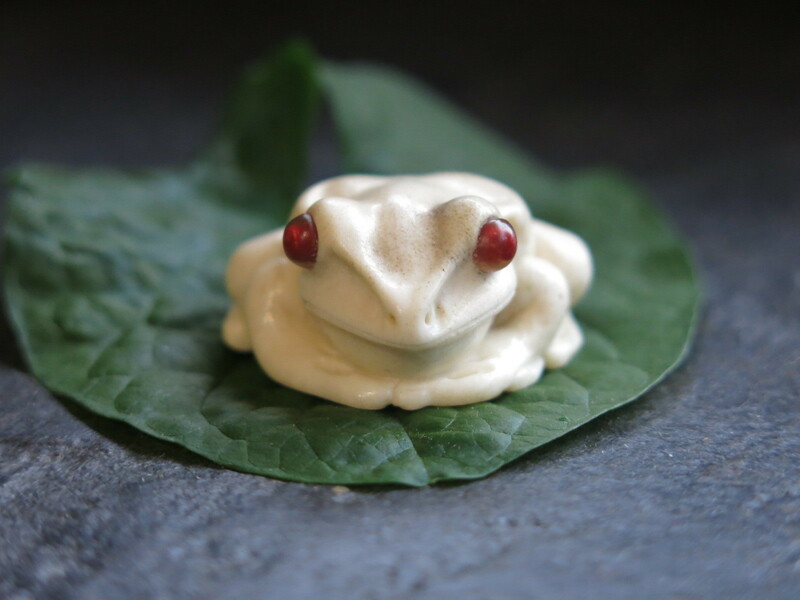 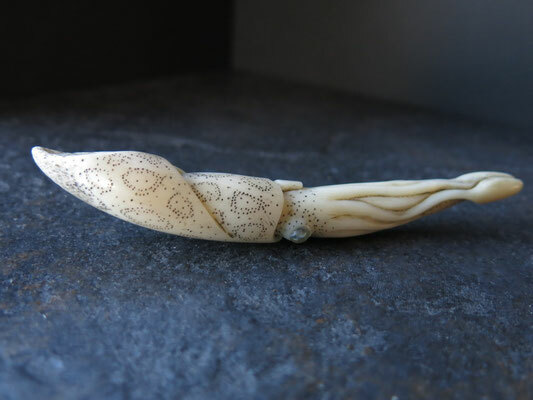 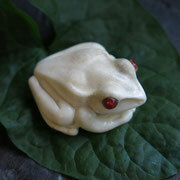 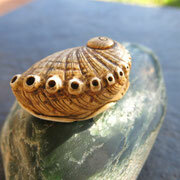 Netsuke is a toggle, acting as a catch on the sash of a Kimono. 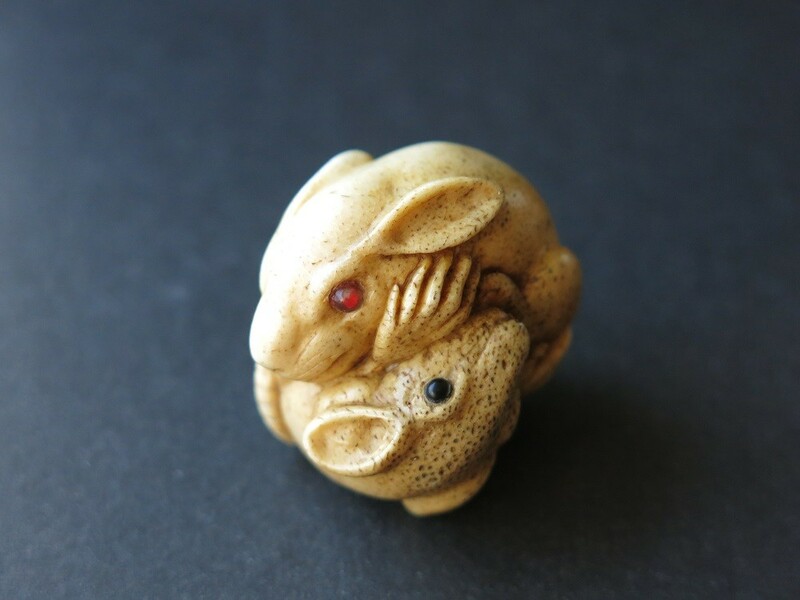 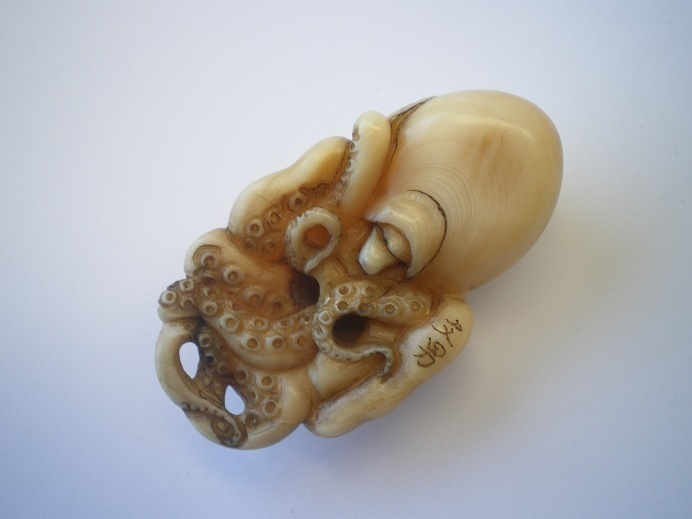 A Netsuke is a small sculptual object which has gradually developed in Japan over a period of four hundred years.Netsuke(singular or plural) initially served both functional and aesthetic purposes. 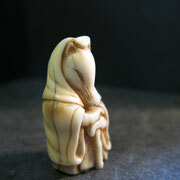 The traditional form of Japanse dress, the Kimono, had no pokets. 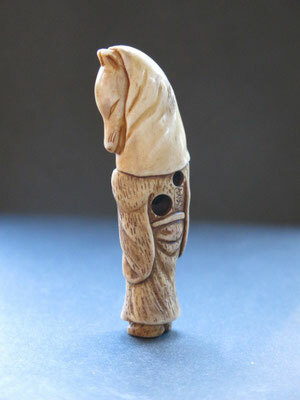 Men suspended thier tabacco pouches, pipes, purses, writing implements and other items of daily use on a silk cord passed behind their obi(sash). 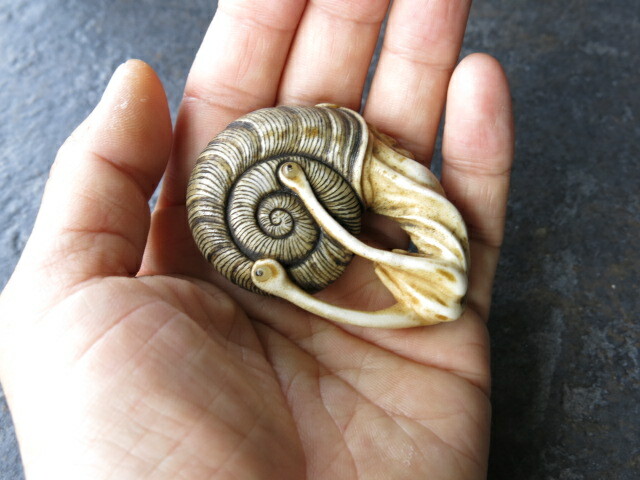 These hanging objects are called sagemono. 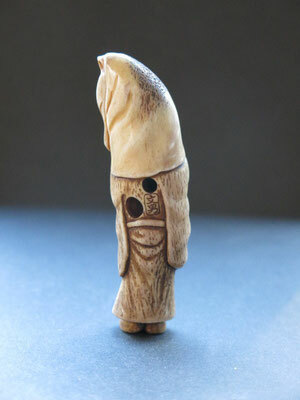 The Netsukewas attached to other end of the cord preventing the cord from slipping through the obi. 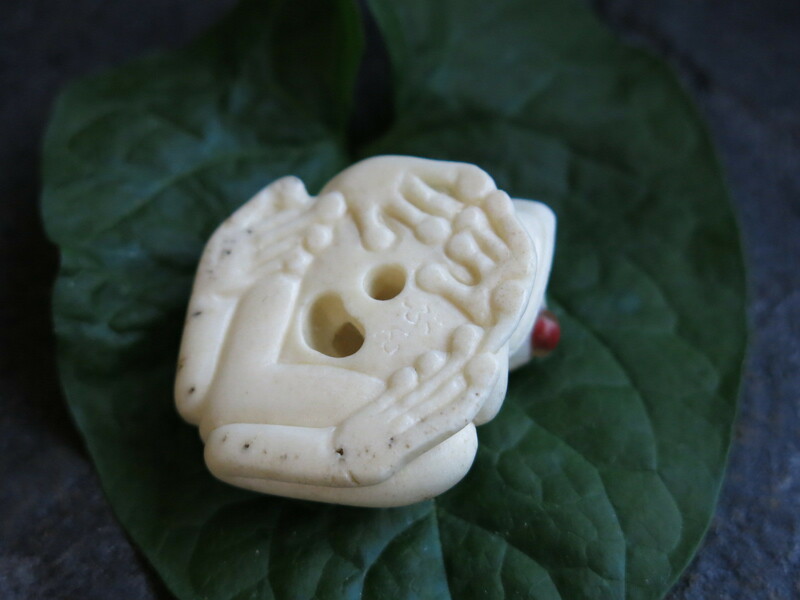 *To serve as a toggle attached to hanging objects (called Sagemono), it has a hole or a channel (himotoshi) to put the cord through. *To be worn as an accessory or held in hands, it doesn’t (or shouldn’t) have parts that can easily be broken or might catch the garment. 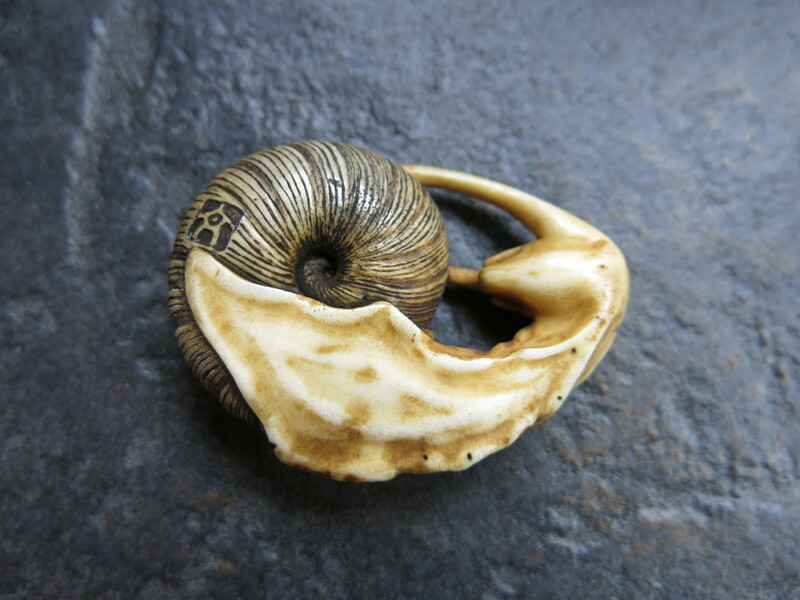 *To be worn at the waist, it is comparatively small. 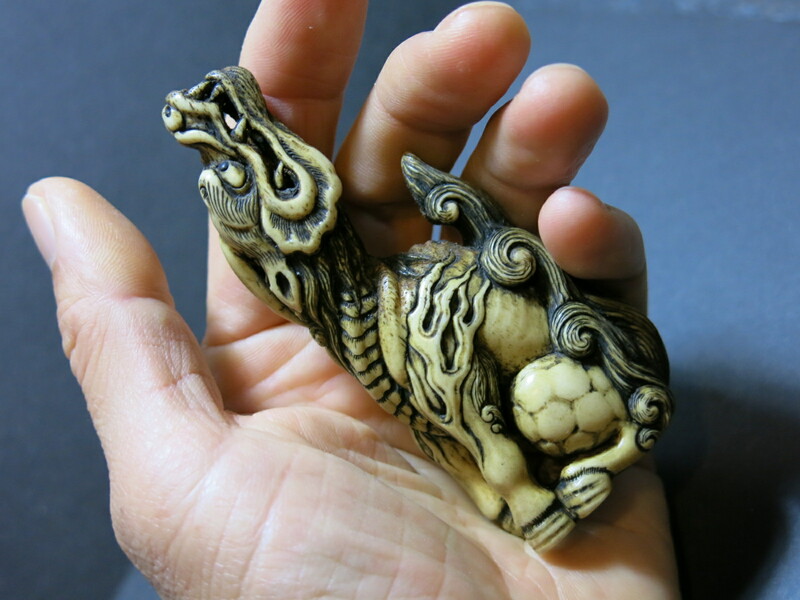 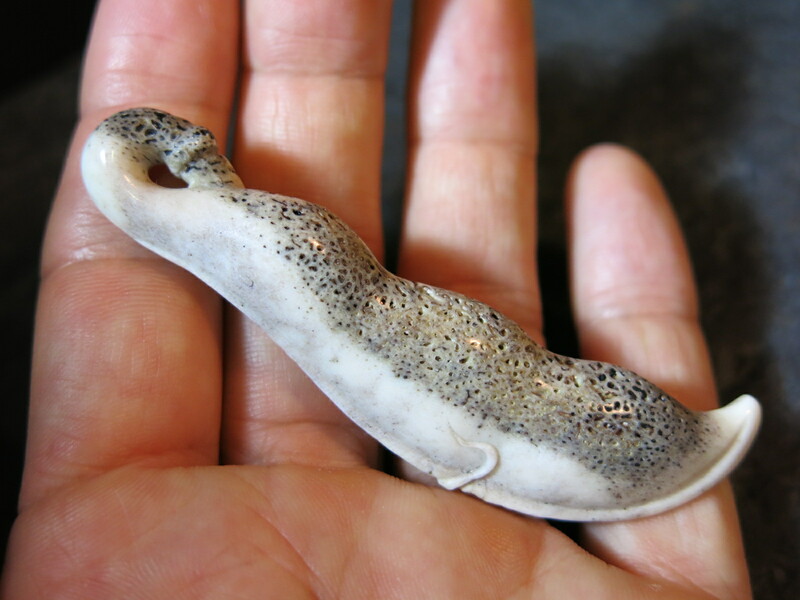 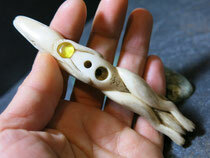 It is generally about as large as you can hold in your hand, but it could be a bit smaller or larger than that.